McGill Redmen forward Daniel Milne scored the game-winning goal with 13 seconds left to play in a game against the Concordia Stingers this past Saturday evening at the Ed Meagher Arena, ending the game with a 3-2 score. McGill’s game-winner gave the team their fifth win of the season, while Concordia suffered their third loss. “This is a big rivalry between McGill and Concordia, and you never want to be on the losing side of it.” said Redmen forward Liam Heelis. The first goal of the game didn’t happen until the second period, when Redmen forward Liam Heels scored with over a minute left to play before the intermission. McGill added a second goal 30 seconds into the third period thanks to forward Frederic Gamelin. 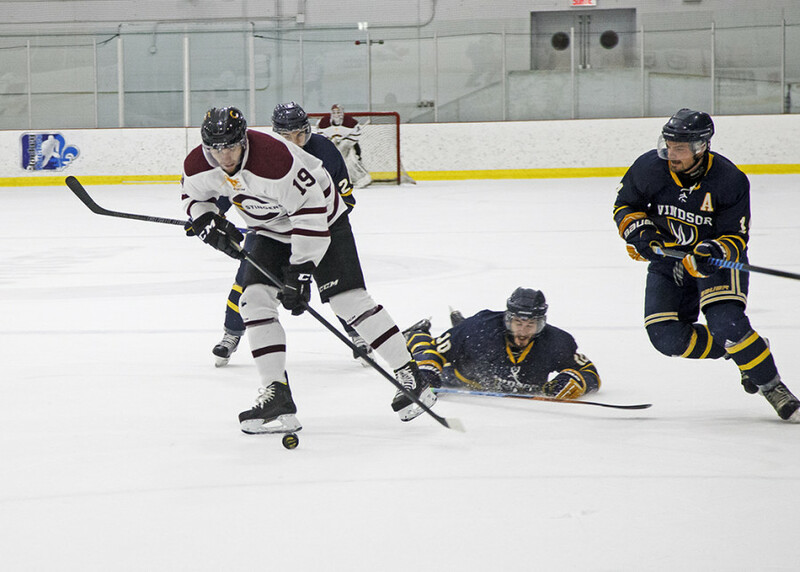 Despite being down by two goals, the Stingers began mounting a comeback in the third period. Forward Jessyko Bernard scored his fifth goal of the season with three minutes left in the period, before captain Olivier Hinse tied the game with 1:59 left, energizing the crowd at Ed Meagher Arena. Unfortunately for Concordia, the Redmen sucked the life out of the Stingers faithful after Milne took advantage of a rebound after teammate Mathieu Pompei fired a shot on net. The Stingers next game will be on Friday, Oct. 30 on the road against the Wilfrid Laurier Golden Hawks, while McGill’s next match will also be on Oct. 30, against the Lakehead Thunderwolves.